Christmas is the season to be jolly and Christmas decorations are at their peak as they create the right atmosphere for people to be happy. Christmas lights are everywhere and in every size and color. LED lights are used extensively in all houses and businesses. Solar lights are also used in most parts of the world. The combination of the two brings us the Solar LED Christmas lights a combination which not only lightens up our world but it saves energy at the same time. Christmas lighting is everywhere. We have Xmas lights in shopping centers, malls, restaurants and off course our homes. Decorating our own homes with Xmas lights signifies the beginning of the festivities and the holiday period everybody is waiting for. Decorating our home is family event and usually the whole family gets involved and this is one way to bring everyone in the right Xmas mood. 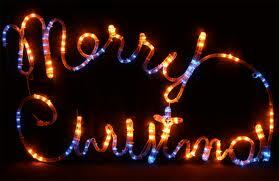 The Christmas LED lights are very popular these days due to following main reasons. They save energy and the LED light bulbs have a long life. Both advantages lead to one main benefit: they save money for those who choose them. The LED Christmas light bulbs burn bright and they come in different sizes and shapes and the choice is yours depending on the use you intend them for. It should be noted that there are also battery operated LED lights for those locations that electricity is not available. This is a good point to introduce the solar LED lights, the lights which do not need electricity to operate. Solar LED lights increase in popularity and are used extensively not only in Europe and USA but in many other parts of the world. The combination of solar LED lights in Xmas lightings is a relatively recent product which has been widely used since the beginning of year 2000. 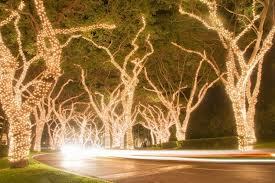 The advantages of the solar LED Christmas lights are many and their use certainly leads to electricity savings. Solar LED Xmas lights add magic to your home and garden as they come in different colors and sizes and they can be either used indoors or outdoors. The fact that they require no mains makes their installation hassle free and safe. They create a magical touch to every garden, pergola, swimming pool area or any other indoor area. Solar LED Xmas lights can switch on automatically at dusk and off at dawn. This is makes their operation automated and we do not have to worry about timers or manual interventions. Are Solar LED Xmas Lights for everyone? As we can all understand Solar LED lights need the sun to be powered. They are known as solar powered LED Xmas lights. One may wonder how this is possible since the lights are needed at night. The answer is very easy. The photovoltaic cells collect the sun’s energy during the day which is converted to electricity and stored in the batteries which are part of the solar LED system. The stored energy is used during the night to light up the LED bulbs and to create magic in our homes and gardens. The next question which may come to mind has to do with the fact that Xmas is during the winter with short periods of sunshine. In the south hemisphere this issue is unknown since they are in their summer period with sunshine at its peak period. In the north hemisphere the Xmas holidays are during the period with lowest sunshine. It should be noted that on December 21st we have the longest night! The new solar powered LED Xmas lights are designed to collect the needed power with the least sunshine and since we are using LED lights the power consumption is much less than any other type of lighting. So the combination of Solar and LED is the ideal combination for efficient and energy saving Xmas lighting systems. When shopping for Solar LED Xmas lights you should look around, put your requirements down and make a price performance comparison of available products. You should decide about the use of the lights, indoor Vs outdoor, the place you will install them, tree or roof, and the colors you want or like. The options are many and your criteria should be set from the beginning before you start looking around. There are a number of solar LED lighting guides which can educate the average person and enable him or her to select the desired system within his/her budget. Christmas is the period to become the envy of your neighbourhood. We all find ourselves staring at some impressive decorations down the street or in the neighbourhood. The Solar LED lights give you not only the opportunity to make a decoration everybody will envy and stare at, but they also give you the opportunity to save energy, use the solar power to power your LED decorations, save money and reduce the impact on the environment. What a better way to have a holly jolly Christmas.